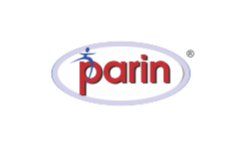 Parin Furniture IPO overview - Parin Furniture provides a wide range of furniture and lifestyle products including home furniture, office furniture, hospital furniture, institutional furniture and education furniture. Its subsidiary Pearl Furniture Private Limited has well established manufacturing unit located at Survey No. 26, Shapar Main Road, Village, Shapar, Taluka – Kotada Sangani, Dist – Rajkot-360024, having high tech equipments and design facility to manufacture various combination and size of products as per specification and needs of the customers. The factory is equipped with all facilities to execute all types of manufacturing activities such as panel cutting, edge bidding, post forming, painting line, fabrication, moulding, cutting and polishing & packaging, etc. Parin Furniture IPO allotment status is now available on Karvy Computershare’s website. Click on this link to get allotment status.